Hi! I’m Courtney. I’m Cait’s (favorite) sister and the blogger over at Gluten Free Jesus Freak (http://glutenfreejesusfreak.blogspot.com). 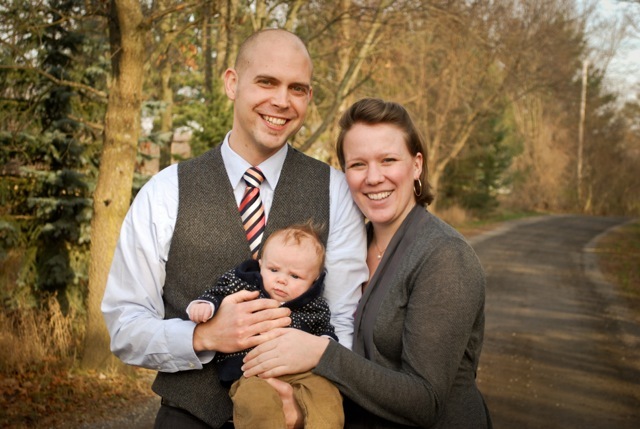 I’m also a full-time pastor and a brand new mom to a dear, dear little 4-month old boy. Life is very full these days! We welcomed our little guy in September, and as fall turned into winter he developed pretty severe eczema from the dry air and his sensitive skin. The eczema rash was all over – his ankles, torso, arms, and scalp. The poor little guy scratched himself to sleep most nights, when he slept at all. After trying a variety of home remedies (oatmeal baths, Vaseline, lotions, creams, olive oil, fragrance-free detergent, Vitamin E, and on, and on, and on…) that proved unsuccessful, we finally trekked off to the pediatrician who prescribed us an ointment to treat our son’s rashes. The only catch? Our baby wasn’t supposed to get it in his mouth or eyes. As a result, we’ve become big fans of baby hats in this house. We smear our little guy’s head with the meds and then put a cotton hat on to keep him from rubbing his medicine into his eyes or mouth. This worked for awhile, but then we faced a dilemma. As he outgrew his newborn hats, it got really tricky to find cotton hats for a baby who isn’t a newborn but isn’t yet a toddler. If they’re too small, they pop right off. If they’re too big, he pulls them down over his eyes and mouth and gets really upset about it. He had another flare-up this week, and my husband and I tried to figure out what to do. Suddenly, I had an idea. “I’ll make him a hat!” I said. My loving husband tried not to roll his eyes. He knows how most of my sewing projects end up. I am a big crafter but not such a great sewer. “If you think that will work…” he said. I disappeared into our bedroom and came back with a soft, old, cotton pajama shirt I was planning to take to Goodwill. Yes, it’s a dorky shirt. Don’t judge. 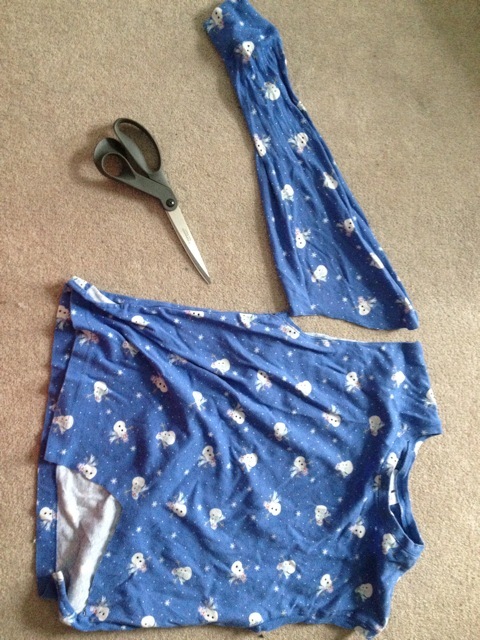 I cut off one of the arms along the seam. 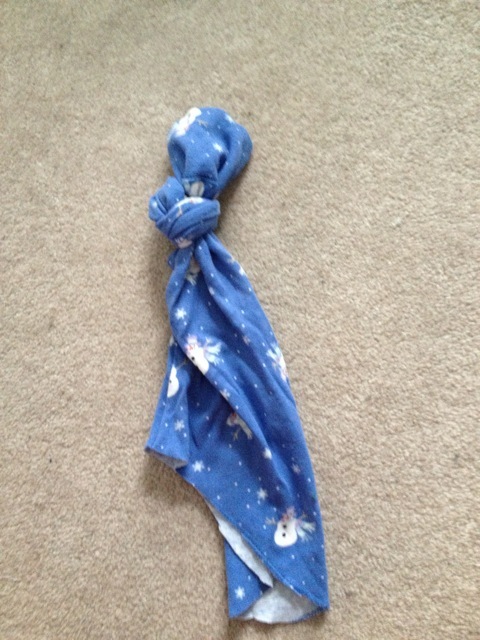 Then I tied the top of the sleeve into a knot and rolled up the bottom for a brim. I did the same thing with the other sleeve. Voilá! Two baby hats! For a grand total of $0.00. 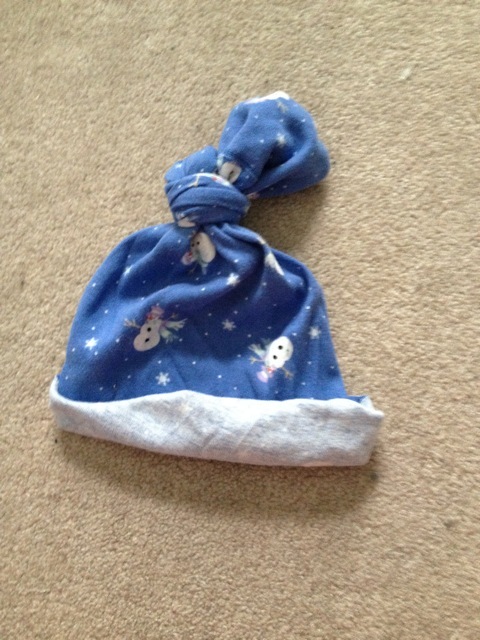 You can tack down the brim with a few stitches, or leave it rolled up so that it can unroll as your baby grows. 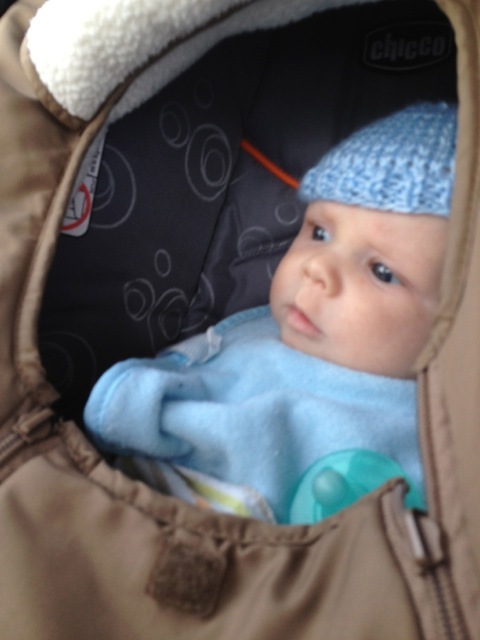 It’s super soft because the cotton is so worn, so he doesn’t mind it as much as some of the other hats we’ve tried. 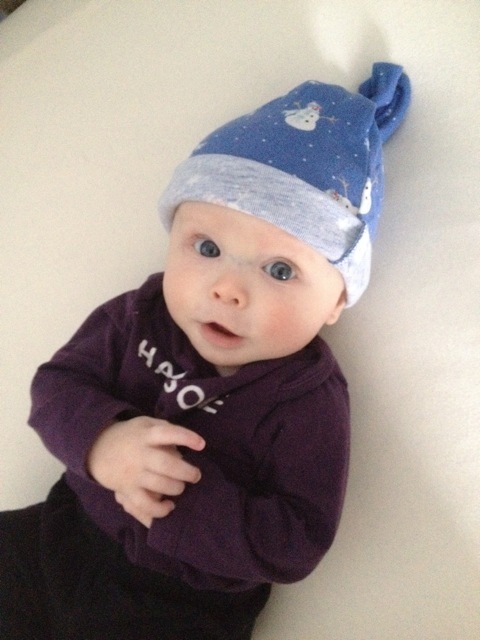 Also – is he not the cutest baby in the history of the world?